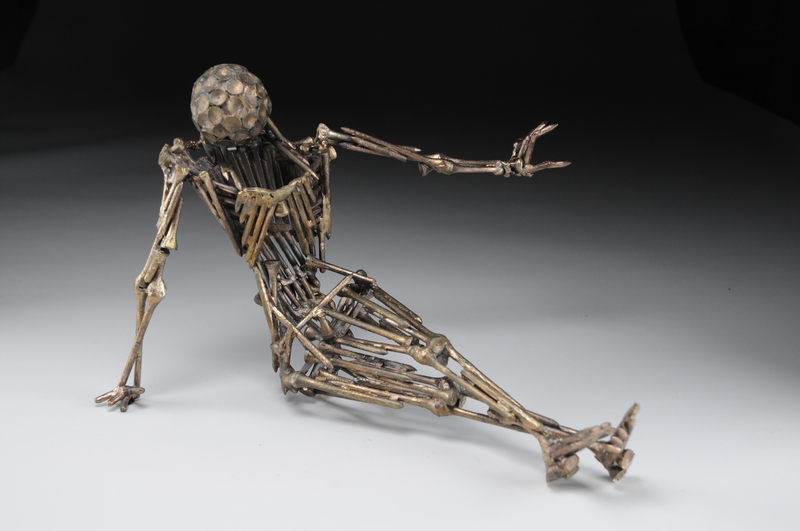 This “Tee Man” Bronze Sculpture was produced while I was an Undergrad student at University of Tampa, Florida. The University had amazing facilities, including a bronze casting foundry where I created many metal artworks. Lost wax technique was the method we used, which meant sculpting our piece out of wax, or material that would burn out in a kiln, in this case wooden golf tees. The wax and wood was then invested into plaster with air vents. The kiln then burned out all material leaving a hollow cavity for the molten bronze to be poured in. At the time I was very influenced by the surrealism of Salvidor Dali and used his pose from “City of Drawers” as a reference for my first bronze piece.